Congratulations to Greater Fauquier Baseball Little League, your VA District 16 Senior Baseball Champions! 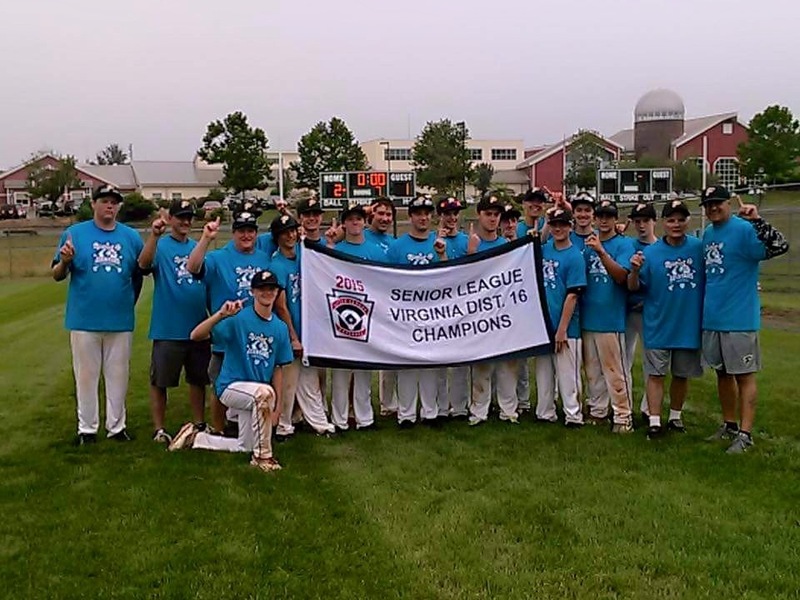 GFBLL will represent our district at the Virginia State Senior Baseball Tournament right here in Purcellville starting July 17. Hosted by LLLL at Claude Moore Park in Sterling. The Tournament Director is Mark Wood. All games will be played on Claude Moore Park Field #4.